Afghanistan’s municipal governments are not performing at the level they must to maintain their social contract with their citizens. They have improved over the past decade and their performance in public service delivery is better, more so in some municipalities than others. But Afghanistan’s municipalities are not prepared to continue to improve in the years ahead. 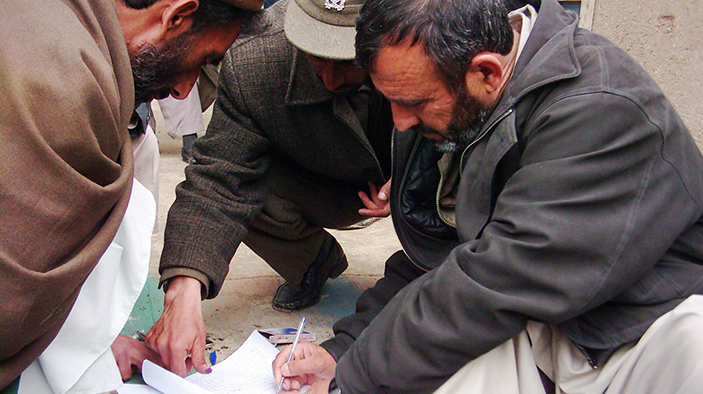 SHAHAR is helping create well-governed, fiscally sustainable Afghan municipalities capable of meeting the needs of growing urban populations. Targeted support to municipal governments, as well as to the General Directorate of Municipal Affairs (GDMA) and Municipal Advisory Boards, will aim to improve municipal financial management, urban service delivery, and citizen consultation. Assist the GDMA in organizing national, regional, and district municipal conferences for sharing best practices and lessons learned. Provide technical assistance to each municipality to develop a public-private partnership unit to fill public resource gaps. Prepare and implement capacity building plans for municipal officials. Twenty SHAHAR-assisted communities increased revenues by 38 percent over the most recent fiscal year, including by 26 percent in the fixed revenues that are key to budget stability. Partner municipalities improved their governance scores by an average of 239 percent between July 2015 (baseline) and August 2016 (midline); areas included revenue and finances, planning, service delivery, administrative reform, and community outreach. Municipalities successfully bid out and completed 14 projects worth $1.25 million; projects included building bus terminals, renovating parks and sports fields, and improving drainage. Operationalized Citizen Service Centers in 10 municipalities, which provide one-stop service for paying taxes and fees, registering properties and businesses, and asking questions. Instituted Integrated Financial Management Systems in 13 municipalities. Established Municipal Advisory Boards of citizens in 19 of 20 partner municipalities.